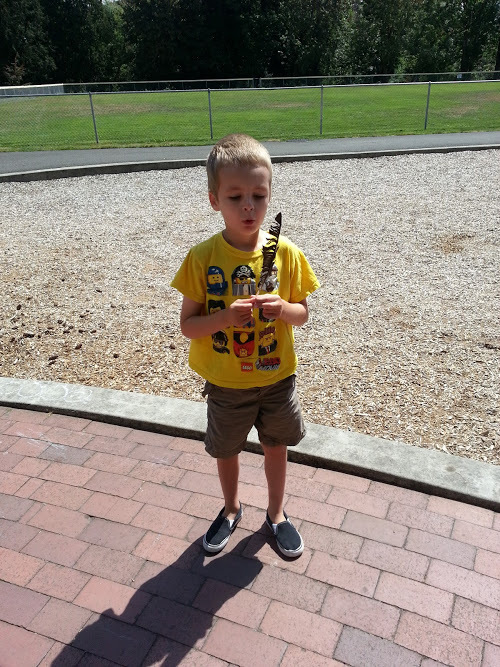 It’s hard to keep on a blogging schedule when the kids are out of school. I’m enjoying having the freedom in our schedule and extra time with the kids but it will be nice to be back on a regular schedule of time to take care of other things. Another month has blown by and we’re beating the record breaking heat by visiting parks early right after breakfast. Then we’re home at the heat of the day and can either stay inside or play in the sprinklers in the backyard. 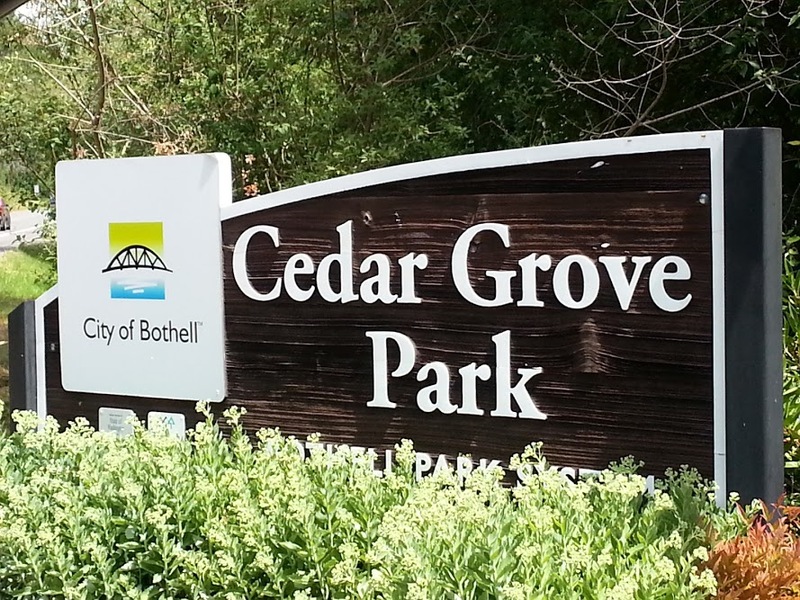 We revisited Cedar Grove Park this last week and although it’s a little bit of a drive from where we live now – it’s worth the trip – there’s a wonderful spot for tots as well as big kid climbing equipment. 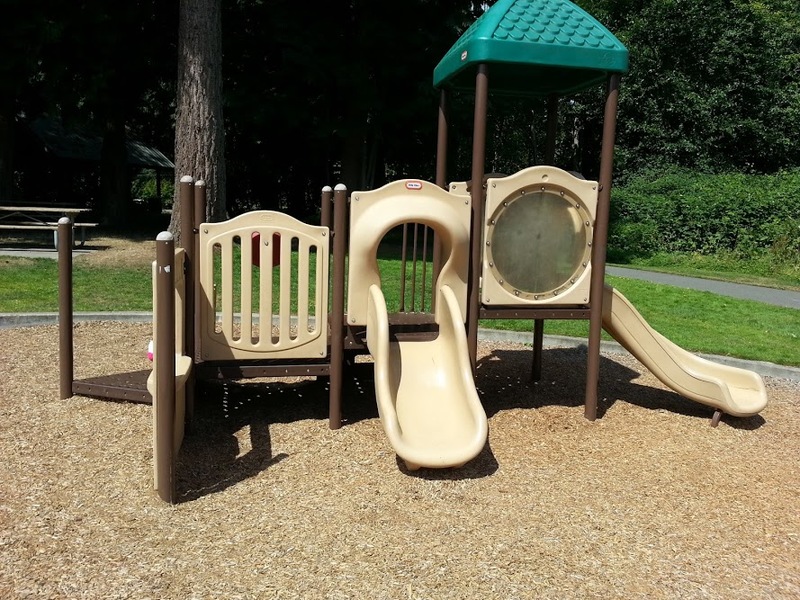 It’s perfect for groups with mixed ages of kids. 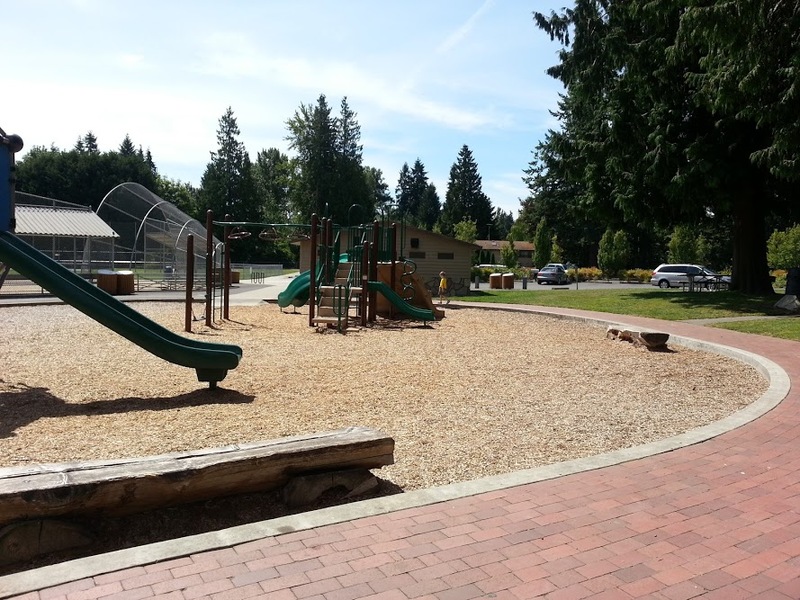 The park has a few of my must haves to make it a great location. 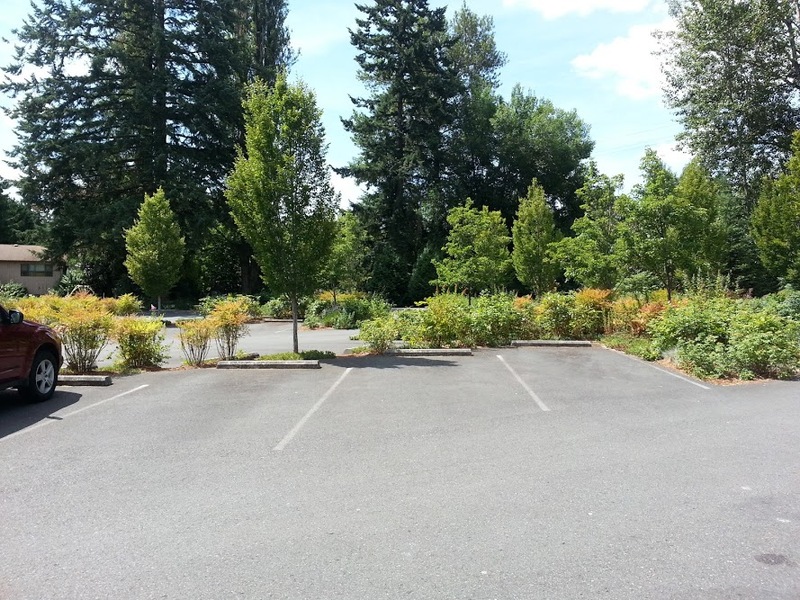 There’s a decent parking lot and working restrooms. 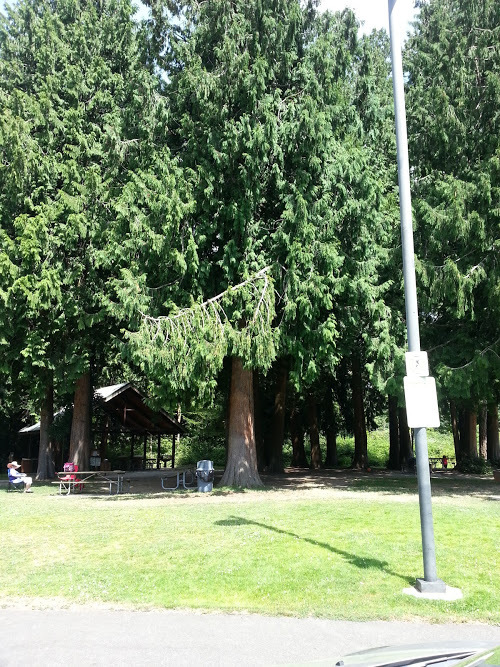 There’s plenty of tree coverage and picnic tables for having a spot to snack on a hot day. There’s also a shelter available for rental if you’re having a gathering. 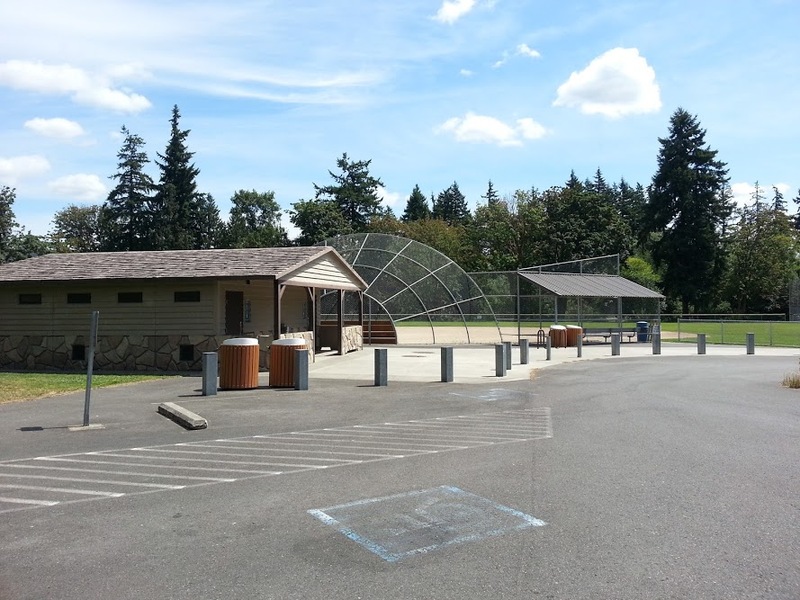 After coming out of the parking lot and passing the restrooms you’ll see a huge baseball field great for running and it’s fully fenced to keep the littles in. 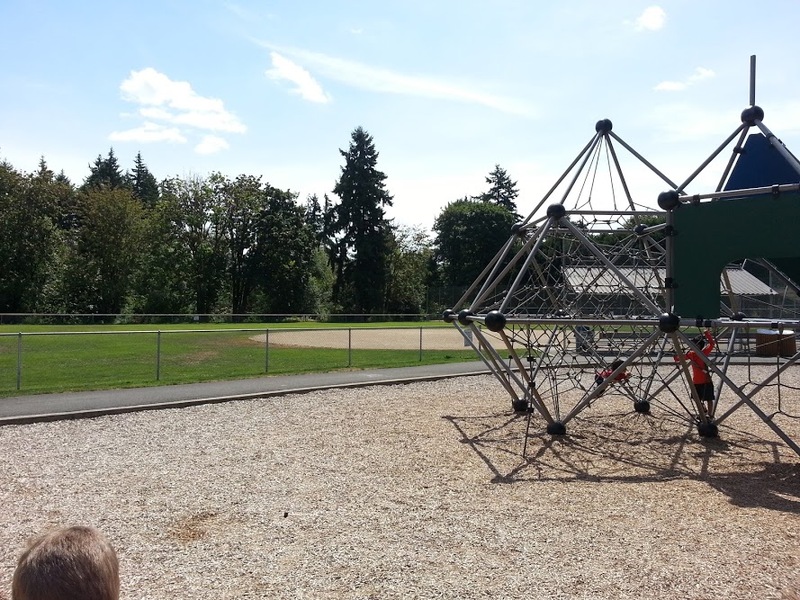 There’s a large section with big climbing equipment for the older kids. 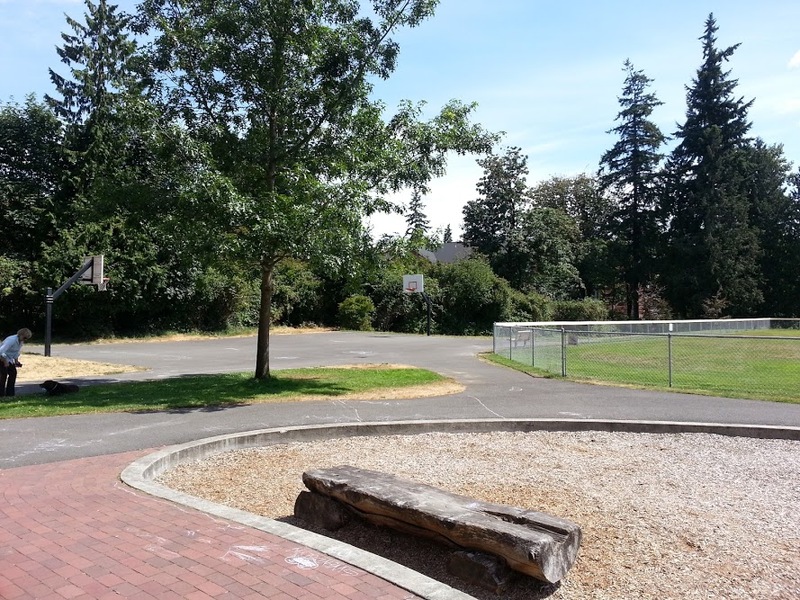 A basketball court with a paved walking path that goes around the whole park. Another picture of the big kid area – slides, rock wall, climbers galore. Graham had fun playing with a feather and it made a big impression on Alice that day – she still talks about that feather three weeks later! There are two bucket swings and two regular swings just past the little tot island. 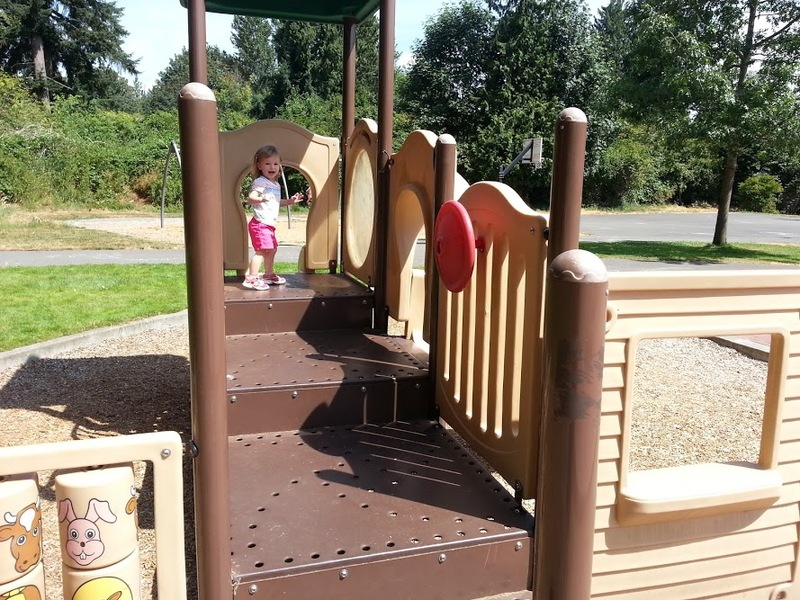 Alice loves to slide and this climber is perfect for letting your smallest climbers play without much guidance from grownups. Another plus for me is there aren’t any spots for her to fall off so I can just stand back and watch her go down the slide, run around, go up the stairs and back down the slide. Over and over! We hadn’t visited this park for a good year so it was fun to be reminded of how much the kids have grown by watching them running and playing on all this park has to offer.